Locum pharmacist insurance is something that is a requirement under the terms of certification, so every locum pharmacist must be aware that in order to work they must have personal indemnity (PI) cover on themselves before taking on any contract as a locum. The question is, who covers the insurance and is a locum pharmacist covered under the PI insurance of the pharmacy they are contracting at? 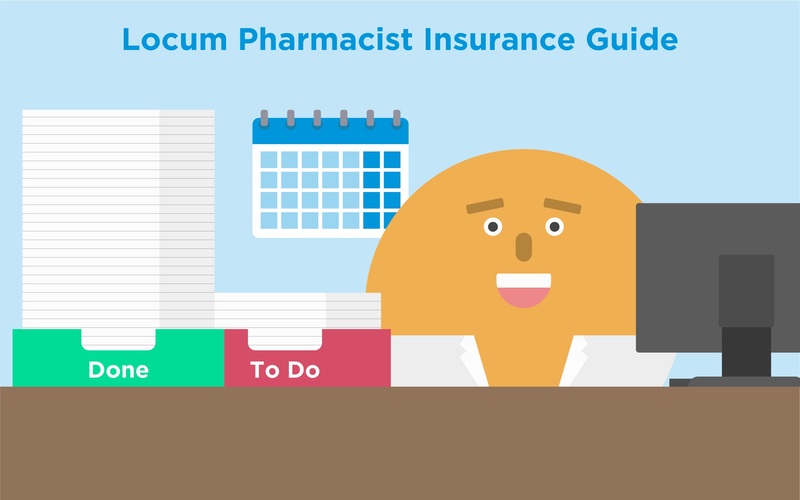 This article will act as a guide to locum pharmacist insurance – who covers it, how much is needed, and any other aspect of PI insurance that a locum pharmacist should be aware of. After reading this you will be more informed as to why it is a good idea to know that every potential liability situation is covered, and how PI insurance plays in to that. It is true that most pharmacies will have their own personal indemnity cover which should in theory cover any person working for them through direct employment or in a contracted nature, but the difference between the two classifications is extreme. On the one hand, a locum pharmacist is working for a pharmacy in the same way as their employee would be, but the fact will always remain that they are not a contracted employee and are in fact a self-employed sub-contractor. If something does happen which requires an insurance claim to be made, it would be inevitable that the insurance company would pore through the facts surrounding the incident and could easily find that their terms and conditions were not adhered to with regard to the locum pharmacist, and as such the incident would not be covered by them, leaving the locum open to be sued. An example would be if the PI insurance company determined that the standard operating procedures of the pharmacy were not followed by the locum pharmacist, which led to the occurrence being claimed for. In this instance the locum pharmacist would be personally liable for whatever occurred, so it makes sense to have yourself insured against this possibility. How Much PI Insurance Cover Should I Have as a Locum Pharmacist? The normal cover for personal indemnity insurance for any professional service provider is in the region of £5 million; this level of coverage will allow for any type of claim to be settled within the maximum coverage of the insurance. Most locum pharmacists will say that it is worthwhile to sign up to the Pharmacist’s Defence Association (PDA) for a number of reasons, not least of which for the immediate £5m coverage and for cover of any legal costs up to £500k. It is worthwhile to look into this option as it is highly recommended across the industry. If you choose not to sign up for the PDA and want to find an insurance company to directly provide you with PI Insurance, you can check with the National Pharmacist’s Association for a list of current offers. Another way is to contact your local insurance provider, or your car insurance provider, who can either offer you a package deal or put you in contact with an insurance company to fit your needs. It is clear that a locum pharmacist has a real need to take their insurance cover seriously. It would not be feasible to expect the pharmacy insurance to cover all eventualities, which is really what insurance is for. By gaining your own locum pharmacist personal indemnity coverage, you will be able to go about your role with the confidence that you are covered if the worst case scenario happens.